Our experience, expertise and commitment are our most valuable assets . In addition, our Linux server management solution provides you with a 24/7 access to a dedicated expert Linux server administration team. 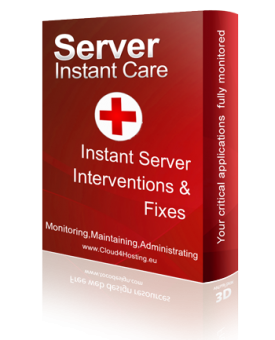 We remotely handle all of your technincal issues including: server optimazation, server security, and montoring - even if you are not hosted by us. 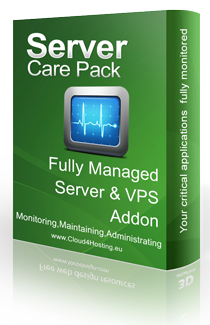 Subscribe to one of our server care pack (managed server) service credit block, & we will monitor,inter vent & fix issues or execute any administration task you require. We can remotely handle all of your server or site issues & provide technical support, Anytime! Add a new ticket. 1 Low priority tasks shall be completed on working days within 72 hours from the moment of submission of a ticket. 2 Medium priority tasks shall be completed on working days within 24 hours from the moment of submission of a ticket. 3 Urgent tasks shall be completed on working days within 8 hours from the moment of submission of a ticket. 4 Emergency tasks shall be dealt with immediately, including on weekends – for an extra charge of 20 Euros for service call. In such a case client should also place a phone call, in addition to submitting the ticket.